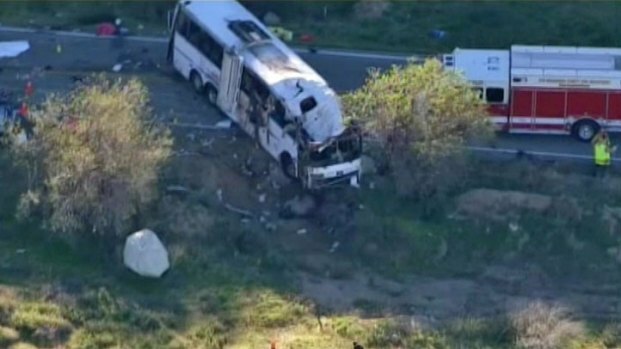 Three separate investigations are under way Tuesday after a tour bus careened out of control down a steep Southern California mountain road and crashed, killing seven and injuring dozens. The crash happened on Highway 38 in the Yucaipa area on Sunday evening, when a bus filled with skiers and snowboarders on a day trip from Tijuana to Big Bear hit a sedan and a truck then rolled over. "I saw many people dead. There are very, very horrendous images in my head, things I don't want to think about," passenger Gerardo Barrientos said. A seventh victim was identified Tuesday: 24-year-old Liliana Camerina Sanchez Sauceda of Tijuana. Three separate investigations are probing the causes of Sunday's fatal tour bus crash. Federal investigators are planning to reconstruct the crash to determine the cause, while the CHP is trying to conclude if the driver is at fault. 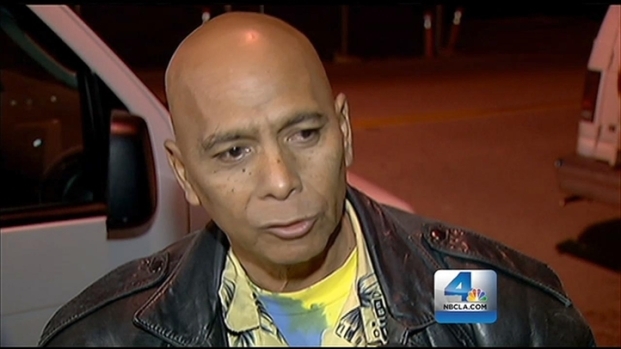 Jacob Rascon reports from Ontario for the NBC4 News at 5 and 6 p.m. on Feb. 5, 2013. The California Highway Patrol, the National Transportation Safety Board and the Federal Carrier Safety Administration are all looking into the crash, according to an NTSB spokesman. NTSB Investigator-in-Charge Robert Accetta held a 4 p.m. Tuesday press conference at the Ontario tow yard where the tour bus had been taken. He said the mechanical inspection of the bus had not yet begun. 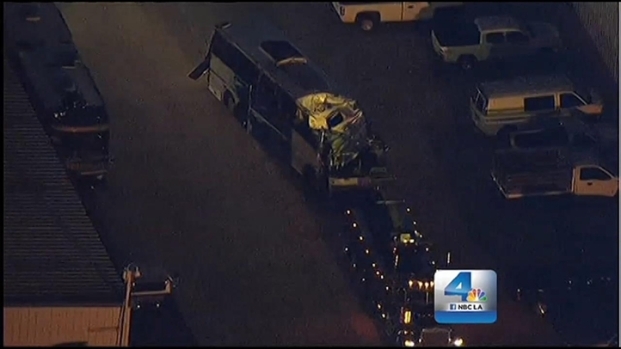 Investigators were in the San Diego area, interviewing the bus company's owner and its mechanic, and in Ontario, looking at the interior of the bus, he said. A three-agency investigation into a fatal bus crash that happened Sunday near Yucaipa was beginning Tuesday, as victims' relatives mourned the dead and prayed for the injured. Toni Guinyard reports from Ontario and Annette Arreola reports from Loma Linda for the NBC4 News at Noon on Feb. 5, 2013. Overhead photos of the bus and other involved vehicles were being taken, and a 3D scan would be done, Accetta said. The mechanical inspection would come afterward, including an examination of the air-brake system and other parts of the bus. "This is just day two in the investigation. There are a lot of components on the vehicle that will be examined, and one of them will be the brakes," Accetta said. "It may be some time before we can determine what effect that had on the accident." It wasn't known yet if a recording device -- an "engine control module" -- on the bus held any information related to the crash, Accetta said, noting that the "older bus" would have less information than a newer vehicle would have. Accetta said the NTSB, which always response to aircraft crashes, examines highways collisions when agency officials think they can make safety recommendations or reiterate earlier recommendations based on the investigation. 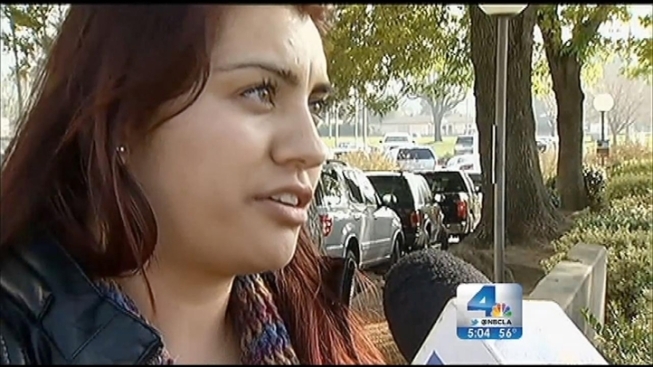 A blood sample was taken from the driver by CHP and a follow-up interview occurred Tuesday, Accetta said. CHP Officer Mario Lopez said earlier Tuesday that a "bumper-to-bumper" inspection was planned. 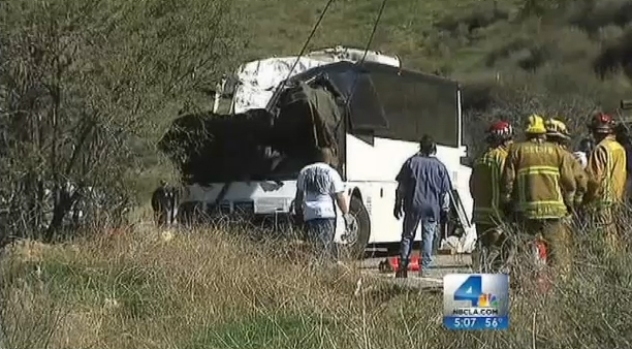 The National Transportation Safety Board is now investigating Sunday's deadly tour bus crash near Yucaipa. "There's a possibility of mechanical failure on the bus and that's what we want to look at. There's also the possibility of human error," Lopez said. The driver has already been interviewed by authorities, who are also talking to passengers and witnesses. 'The vehicle was operated by Scapadas Magicas LLC of National City, Calif., which had 22 safety violations in federal inspections in the year ending in October, including brake, windshield and tire problems, according to government records. The trip was run by Interbus Tours, which provides service between Tijuana and western U.S. cities. The compnay's marketing director said the bus was rented from Scapadas Magicas, which supplied the driver. The driver -- Norberto B. Perez, 52, of San Ysidro, who survived with severe injuries -- told passengers before the 6:32 p.m. crash that that the brakes were not working and asked them to call 911. There was little cell phone reception and the passengers frantically prayed. As it swerved in and out of its lane on Highway 38, the bus rear-ended a Saturn sedan, then flipped and slid on its side. A Ford pickup in the oncoming lane plowed into it, righting the bus and tossing passengers out shattered windows before it came to a halt. The crash site was a gruesome scene, with the roadway littered the roadway with debris and body parts. The bus blocked the two-lane roadway, which is in the San Bernardino National Forest, 80 miles east of Los Angeles. The severity of the injuries made it difficult for authorities to determine how many people had died. They initially said eight then reduced the number to seven Monday after determining no more bodies were in the wrecked bus. The dead included San Diego residents 13-year-old Victor Cabrera-Garcia, Elvira Garcia Jimenez, 40, and Guadalupe Olivas, 61; and Tijuana residents Aleida Adriana Arce Hernandez, 38, Rubicelia Escobedo Flores, 34, and Mario Garcia Santoyo 32, according to the San Bernardino County coroner's office. At midday Tuesday, the coroner's officed identified the remaining woman as Sanchez Sauceda of Tijuana. Many of the injured and the killed were taken to Loma Linda University Medical Center, where relatives gathered Monday, waiting tearfully for news. Miguel Arce of Tijuana said learned his sister Aleida Adriana Arce Hernandez was among the dead. She had taken her 11-year-old daughter Victoria on the trip for her first chance to experience snow. Victoria was in critical condition Monday. "When she wakes up, the first thing she's going to ask me for is her mom. What can I say?" Miguel Arce said of his niece.